You see your driveway everyday when you hop in the car to go to work, drop the kids off, or run your errands. But we urge you to take a closer look the next time you step outside. Does your concrete driveway look like it’s seen better days? It may be easy to simply ignore the unsightly problems and just hope they’ll go away on their own, but it may be time to consider replacing your driveway. Here are 3 tell-tale signs that your driveway needs to be replaced! When you care for a concrete driveway properly, sealing it every now and then, you can prevent the sun from causing too much damage. However, if you don’t maintain your concrete driveway regularly, it won’t be long before it starts to fade. Even if you escape cracks in your concrete driveway, the fading will make it look way worse than it is. Although it may be second nature for you to carefully step over that large crack in your driveway, your guests might be facing a risky entrance to your home. 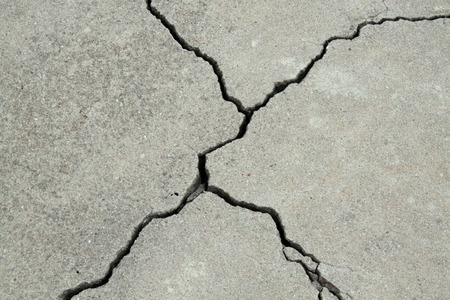 Cracks in your driveway can cause certain pieces to lift up, making it a safety hazard for you and your guests. If you’re having a tough time fitting all your household’s vehicles into your driveway, it might be time to create a little more room. As long as you have enough space on your property, you can likely find a way to install a bigger driveway that will accommodate your family accordingly. If you’re experiencing any of these issues, the time has come to consider a concrete driveway replacement. Templin Concrete Construction has the knowledge and equipment necessary to get the job done! Call us at 612-388-1945 to learn more replacing your concrete driveway today.